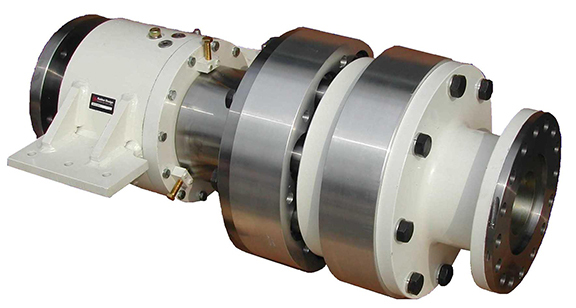 Rubber Design TB series Remote Thrust Bearings from Soundown transmit thrust directly to the hull, allowing for a high-deflection engine mounting, resulting in a smooth, quiet ride. The Rubber Design TB range of compact thrust blocks (also know as thrust bearings) are a solution for reducing engine noise and vibration in yachts, ships, and other vessel applications. 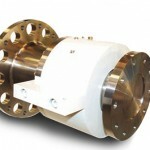 They are typically coupled to the marine gear with an RD Flexible Shaft Coupling. The thrust bearing is mounted directly to the ship structure where it transmits the propeller thrust into the hull instead of pushing on the engine-gear. This allows for an optimized engine mounting as the engine is not constrained by the allowable displacement of the propeller shaft.